While we were still recovering from the stammering advertisement by Nescafé, the brand managed to touch the right chords again with the next video of #ItAllStarts. The ad film narrates the chronicle of Cartoonist who is asked to leave his job, because the newspaper doesn’t need him anymore. It then revolves around the cartoonist’s dedication; who then with help from social media proves that if the newspaper can work without cartoons then his cartoons don’t need the newspaper either. The story took the social media by storm and became a part of conversations. 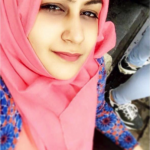 The video has garnered over 20 million views on YouTube so far and is still counting. .
Nescafe took up the It All Starts with Nescafe stance in 2014 with the launch of its stand up comedian ad in 2014. 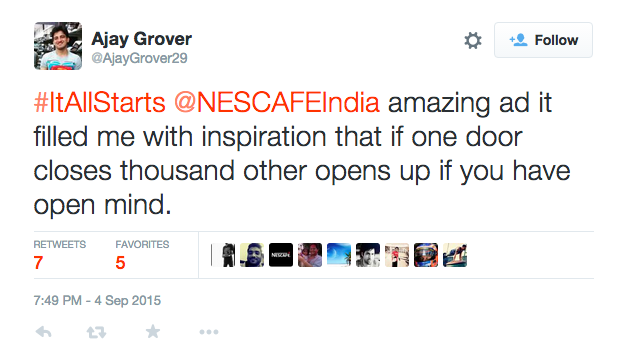 With the increasing pressure on youth, Nescafe has taken it upon itself to motivate the millennial. Broaden the skyline of vivid imagination and let it all begin. The coffee brand aims at encouraging the youth to continue dreaming and to keep looking for a way to fulfil them without depicting only one profession. “We all have a dream, an ambition, which we work towards achieving. But life does not always go as planned. 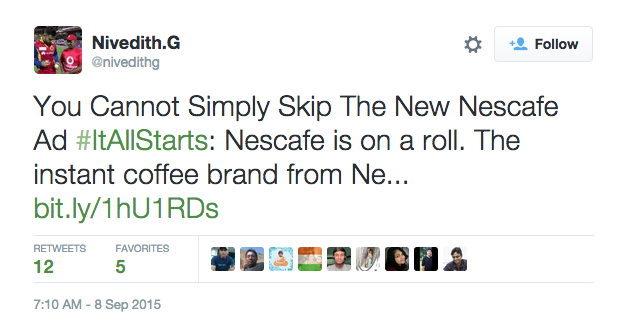 What kept me going was my cup of NESCAFÉ ,” reads the video’s YouTube brief giving a peek in the brand’s ideology. With a sea of ads releasing every day; digital advertising too stands at the risk of turning banal or futile. 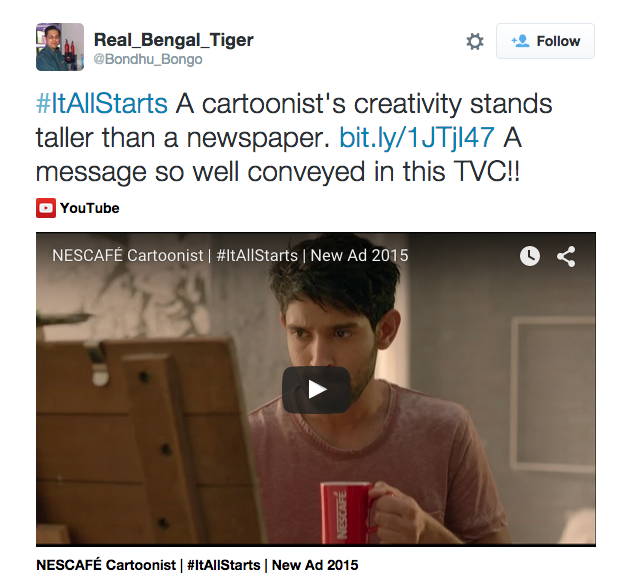 However, the short film format followed by #ItAllStarts gives the Nescafe ads a content edge. Like any short film, both the stand up comedian and cartoonist ads had a plot, struggle, characters and conclusion. Production quality of the video too makes it apt for consumption on mobile or through social platforms – an element ignored by a lot of brands. 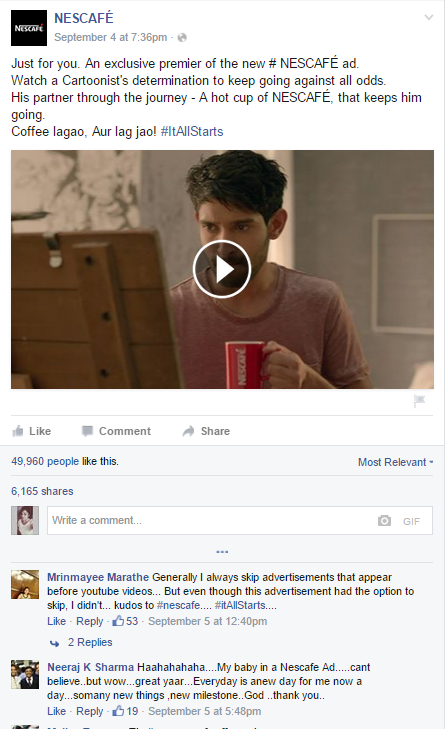 With a subtle push across Nescafe’s social media pages, the video managed to attain a virality element. From a stand up comedian to a cartoonist, Nescafe has managed to capture a mentor space in the youth’s mind – a hot drink that keeps encouraged to stay on the plan. 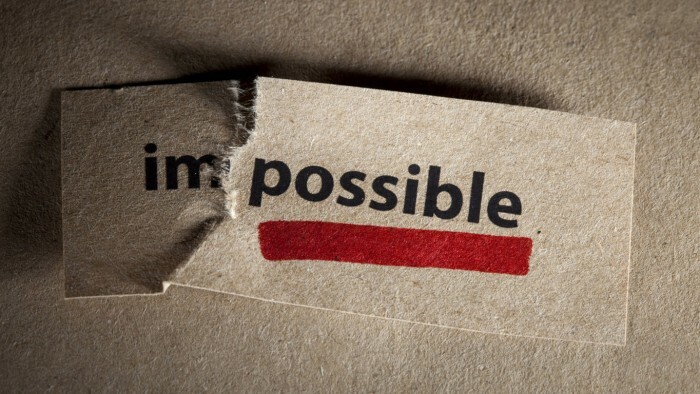 #ItAllStarts begins with a dream, an ambition, an idea and a thought of never looking back. 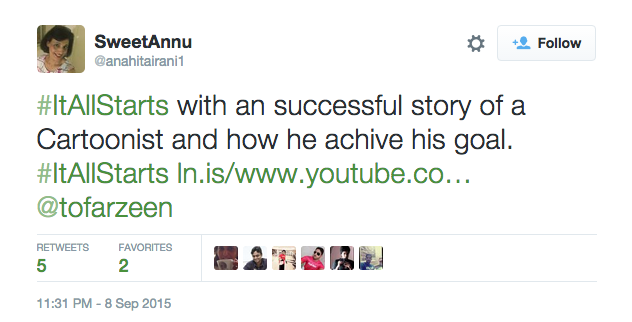 #ItAllStarts is a classic example of good content speaks for itself. When ‘Rishi’ entered our lives in 2014, his struggle as a stand up comedian managed to tug almost every heart string across social media. ROI on social media campaigns; are you doing it right?